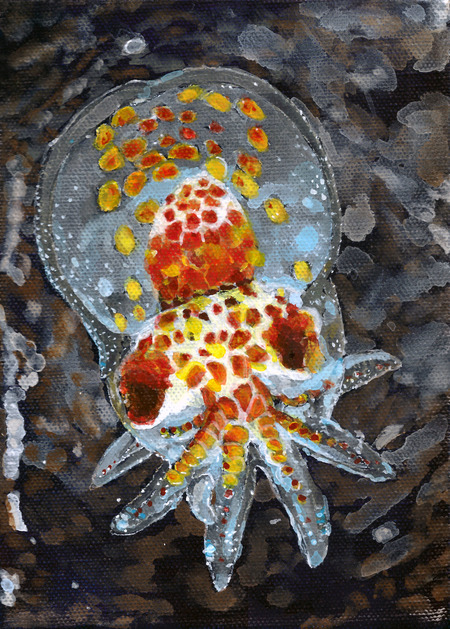 Two Zooplankton paintings, Octopus and Anomura Galathea, have been selected for exhibition at the Blue Door Gallery in Yonkers, NY as part of the Blue Door Artist Association's "5th Annual Members Juried Exhibition". The juror for the show is Bartholomew F. Brand, Director of Curatorial Affairs at the Hudson River Museum, also in Yonkers. The opening reception is slated for January 10, 2013 from 5:30 - 7:30 pm. The exhibition will run through February 9, 2013. With the help of The Creative Council, Art House Co-op will bring over 1,000 curated sketchbooks in a custom-made library-trailer. From 22,000 sketchbooks Christopher Jobson, editor and curator of the art and design blog Colossal, has selected a collection of inspiring works that he believes best fits the theme, "A Landmark and A Mission." I am so very pleased that included is my sketchbook Prehistoric: Zooplankton. 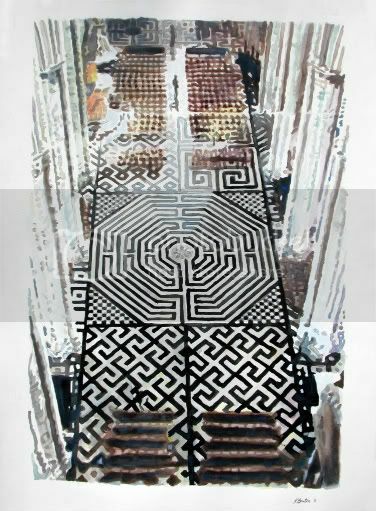 Amiens Floor, was juried into the Pequot Library's "Inside Out/Outside In: Sourcing Inspiration" Benefit, a series of events for adults and children during the weekend of October 12-14, 2012. The gala opening fundraiser and dance party on Friday October 12 from 6:30pm - 10:30pm will include Art, Cocktails, Hors d’oeuvres, Silent Auction, Champagne Toast, Live Auction, and a Dance Party. Artist Steve De Frank chose 77 works of art from over 250 submissions to the 35th Annual Juried Exhibition at the Ridgefield Guild of Artists. 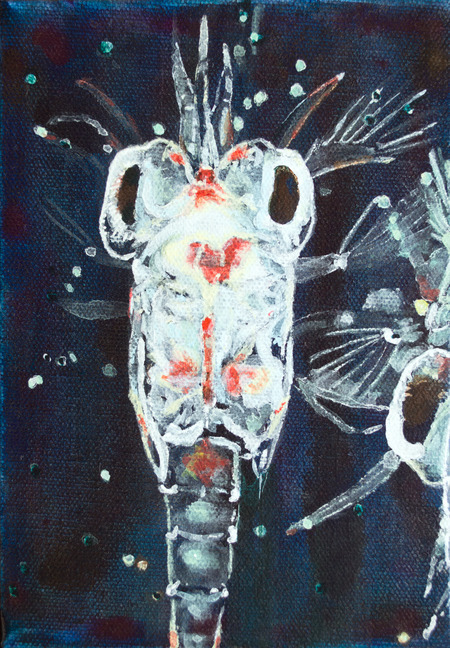 I am thrilled to have two of my Zooplankton paintings included. The exhibit will run from September 22 through October 26, 2012. An opening reception will be held on 9/22 from 2-4 pm. Four sets from my "Origami" series were chosen by exhibition curator Michael Seri for inclusion in Pop Up Art Bethel a show to be held in a space he has procured in Bethel, CT. Twenty-two artists' work are to be featured in the show which runs from June 30 through July 30. 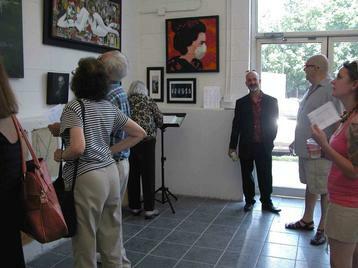 The opening reception on Saturday, June 30 from 2-5 pm is to feature a jazz ensemble and will be catered. The address for the space is 262 Greenwood Avenue, Bethel, CT, 06801 across the street from the Bethel Cinema. Pop Up Art Bethel will have a "Meet the Artists Night" on Saturday, July 28 from 7-9 pm. The show has been extended through August! For a second year my work has been included in the definitive exhibition for Yonkers artists at the beautiful gallery in Yonkers Riverfront Library. The show is open for four months. 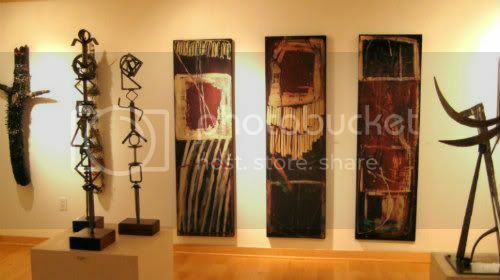 If you are in the vicinity, do take a look at the variety and quality of art made by those living or working in Yonkers. A group of more than 35 artists, living or working in Yonkers, will show selections of their work in an exhibition at the Yonkers Riverfront Library, from Friday April 20th, through August 18th, 2012. The exhibition has been organized and curated by Luis Perelman with the assistance of three Yonkers artists - Gino Civale, Marianne Winstanley and Kathy Yacoe Skura under the auspices of Yonkers Arts. 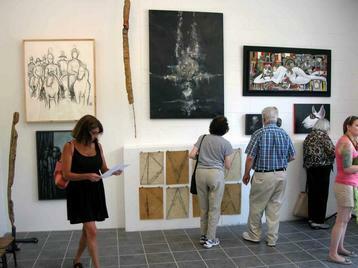 Through the last twenty five years, various local arts organizations, including Art on Main Street/Yonkers, The Blue Boor Artist Association, The West Room Gallery (part of the Yonkers Board of Education Cultural Arts programs) and the Yonkers Public Libraries have made it possible for local artists to display their works, often for the first time. Over two hundred visual artists live or work in Yonkers, many of them working in YOHO, the former Alexander Carpet Mill in Nepperhan Valley. The exhibition is free to the public. For further information, please call 914 337-1500 or 914 965-3397.